The Office Solutions Outlook Add-in is compatible with MS Outlook 2010 onwards and requires a TAPI connection to the Panasonic Telephone System. It provides easy access to multiple telephony features, recent calls and recent call recordings (if Office Compact or Office Ultimate Call Recorder installed). Once the toolbar has been installed, enter your extension number via the Setup icon on the toolbar. You can also add Quickdial numbers at this point. 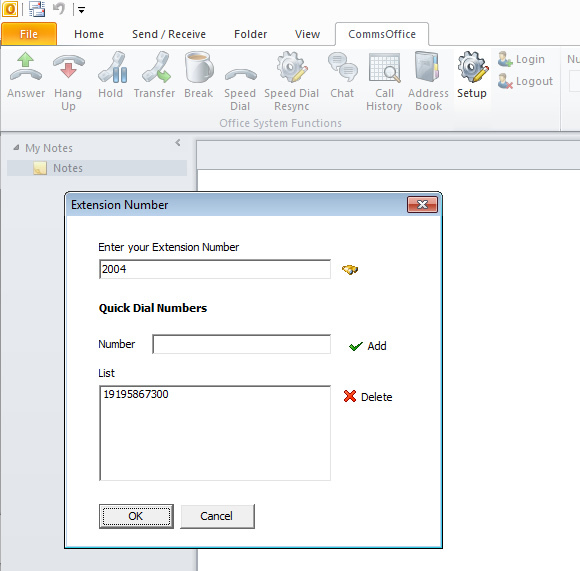 To dial any number from an MS Outlook contact, open the contact. 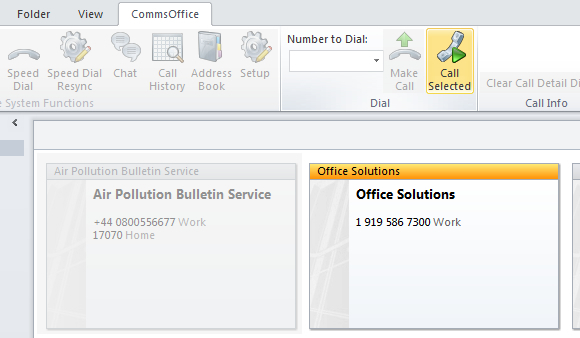 Click on the CommsOffice tab then click ‘Call Selected’. If there is only one number in the contact the number will be dialled, if there are multiple numbers, an additional selection list will be displayed to choose which number to dial, double click required number to start dialling. To end the call, simply click on ‘Hang Up’. 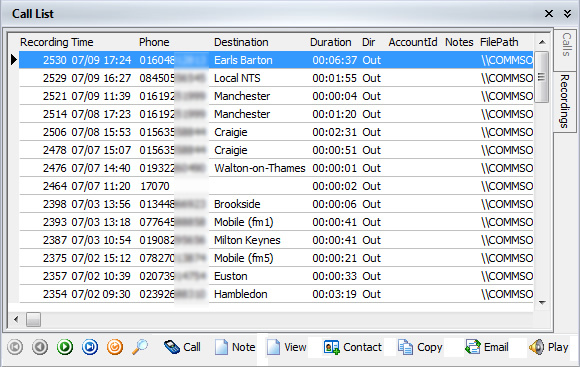 System Speed Dial entries can be dialled from within Outlook. Recently added numbers can be synchronised using the ‘Speed Dial Resync’ button. 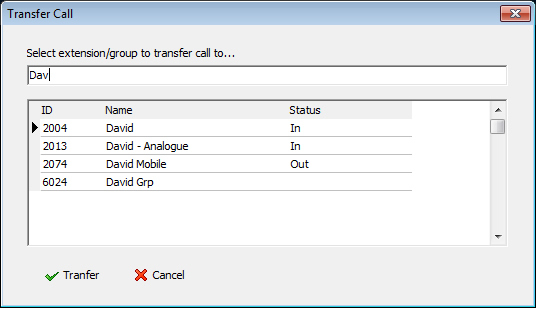 To transfer a call to another extension user click the Transfer icon to open the Transfer Call window. An extension can be selected by scrolling down the list or by typing the target name or extension number in the selection edit box, the search will narrow as you type. When the desired extension is displayed, click on it to highlight, and then click Transfer. Please note that this transfer feature is a ‘blind transfer’, so the calling party is transferred to and will ring the target extension immediately you click Transfer. When MS Outlook is launched there are a set of basic call control icons located on right hand side of the Home tab of the Outlook ribbon. These allow for calls to be answered, dialled, transferred or hung up. There are several additional functions available on the CommsOffice tab. Break Modes provide the ability for extensions to be placed into a ‘Not Ready’ (Manual Wrap-Up) state making the extension unavailable for group calls. 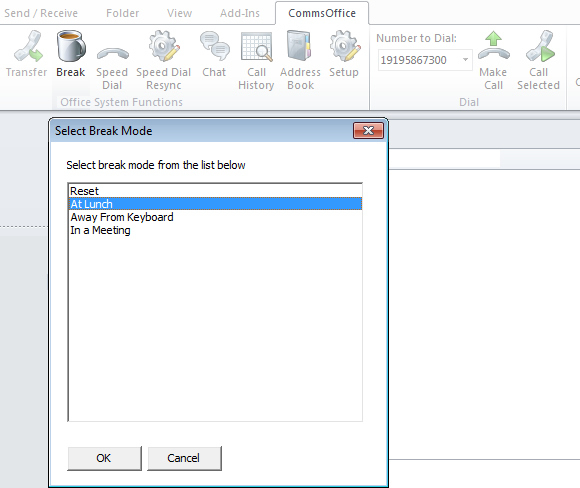 A selectable configurable ‘Absence Message’ is set on the display of the telephone and is displayed for any other extension user calling the extension set to a break mode. Break Modes will also be displayed in the extension users MS Outlook/ MS Exchange calendar. Break Modes are used to enable extension users, supervisors and managers to control telephone availability in order to perform different tasks such as form filling and other after call tasks, manage telephone absence and keep co-workers informed of user status and presence. An agent can either use a pre-programmed soft key on their handset to toggle themselves in an out of temporary Wrap-Up or alternatively use the buttons on the toolbar. Enabling Wrap-Up will make the agent unavailable to take group calls (ie group calls won’t ring at their phone) but still allow DDI and internal calls to be received. Wrap-Up is generally used to allow an agent to finish any data entry required post call, ie ‘wrapping up’ their business before taking the next call. An agent can login to all telephone system groups or select which groups they want to take calls for. Likewise, logout offers the ability to logout of all or just selected groups. Select multiple groups by using Click, Shift+Click or CNTRL+Click. 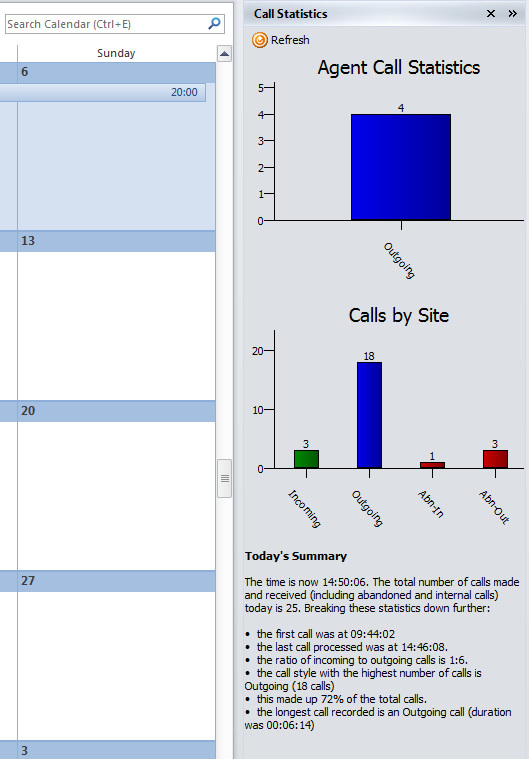 A simple Call Statistics panel is displayed to the right of the Calendar. This will display headline information for site calls (all calls for that site) and agent calls. 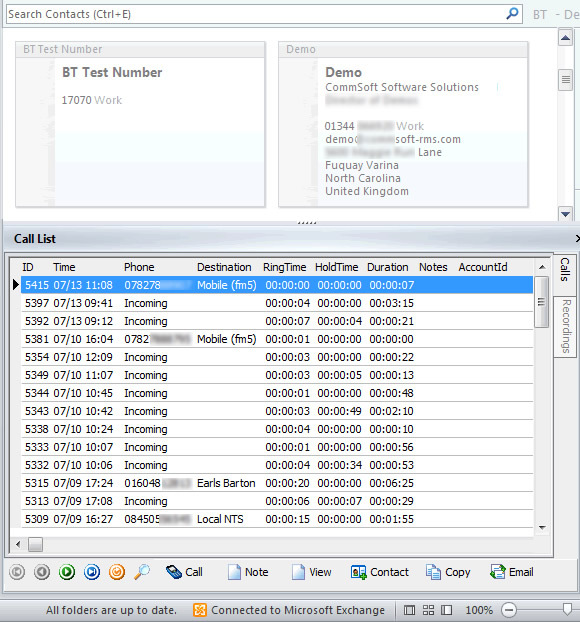 Site calls are displayed in both text and graphical format. The panel can be temporarily hidden by clicking on the small chevron icon; this will slide the panel to the right extending the calendar display area. Reversing this action will reveal the panel again. Closing the panel with the [X] will stop it displaying until the user goes to another MS Outlook page such as Mail or Contacts. The panel will display again the next time they access the calendar page. Any user with a profile set in the Office Solutions i.e. they have a username and password to login to an Office Solutions Client and have placed any reports into their favourites, then these reports will be displayed in a small panel at the bottom left of the Calendar page. Simply double clicking on a report in this widow will run the report. If no Office Solution Client user profile exists because an extension does not have a client installed, an Administrator will need to create a user profile in System Settings. Once the profile has been created, the administrator can logon as the required user and place any required reports into the user’s favourites. These reports will then appear in the MS Outlook Addin. 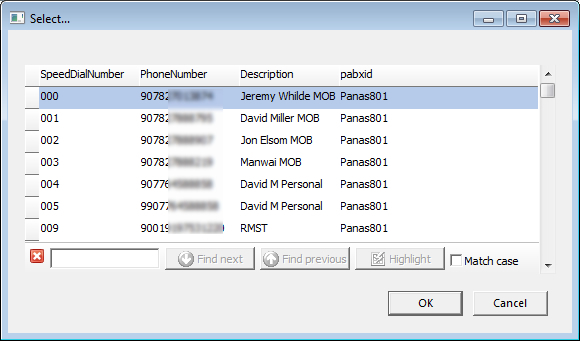 A list of the most recent inbound, outbound and abandoned calls for the extension user will be displayed in a panel below contacts. Double click on an entry to call that number. Two tabs are shown on the right of the panel. This allows the user to toggle between recent calls and recent recordings. To play back a recording simply double click on the entry. Recordings can only be played back if they have been recorded on an Office Solutions Call Recorder.